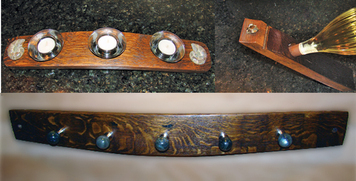 made with Wine Barrel Staves and Myterra Gemstone Hardware, such as . . .